The Journal of Ethics and Social Philosophy is a peer-reviewed online journal in moral, social, political, and legal philosophy. The journal welcomes submissions of articles in any of these and related fields of research. The journal is interested in work in the history of ethics that bears directly on topics of contemporary interest, but does not consider articles of purely historical interest. The Journal of Ethics and Social Philosophy aspires to be the leading venue for the best new work in the fields that it covers, and applies a correspondingly high editorial standard. But it is the view of the associate editors that this standard does not preclude publishing work that is critical in nature, provided that it is constructive, well-argued, current, and of sufficiently general interest. While the Journal of Ethics and Social Philosophy will consider longer articles, in general the journal would prefer articles that do not exceed 15,000 words, and articles of all lengths will be evaluated in terms of what they accomplish in proportion to their length. Articles under 3k words should be submitted as discussion notes, which are reviewed and published separately from main articles. A warm welcome to Kimberley Brownlee, who has joined the JESP editorial team as Discussion Notes Editor, effective September 1. Kimberley brings a wide range of expertise in moral, social, and political philosophy to our team. We look forward to working with her and bringing her vision to expand the impact of JESP's discussion notes section on ongoing conversations throughout the field. Welcome Kimberley! 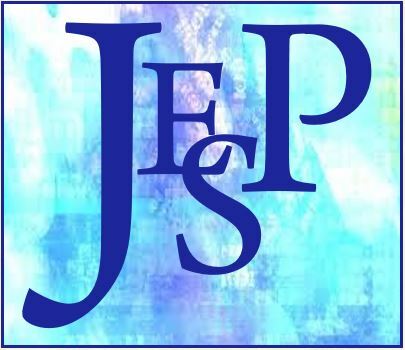 Thanks also to Doug Portmore, who has had the helm as Discussion Notes Editor for JESP for three years, and helped to hold our process to a higher standard. We will miss you on the JESP team.